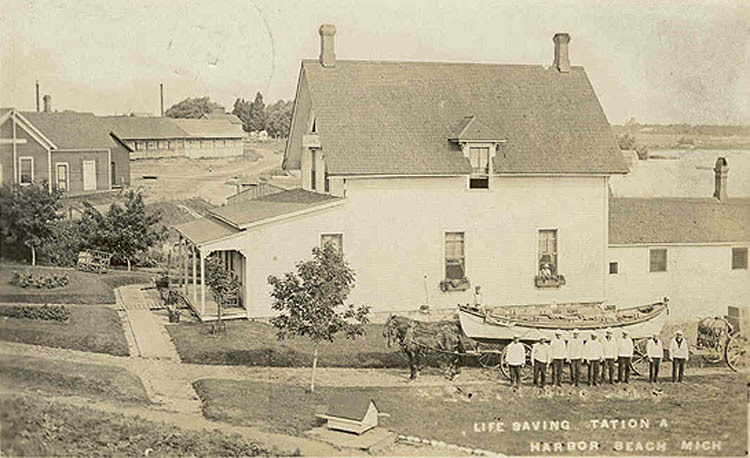 One of the original life saving stations located at Harbor Beach. Several stations existed here over the years as they were moved from point to point. James C. Cottrell was appointed keeper on 29 SEP 1881 and declined to serve. David E. Dues was appointed keeper on 2 NOV 1881 and was dismissed on 15 DEC 1887. 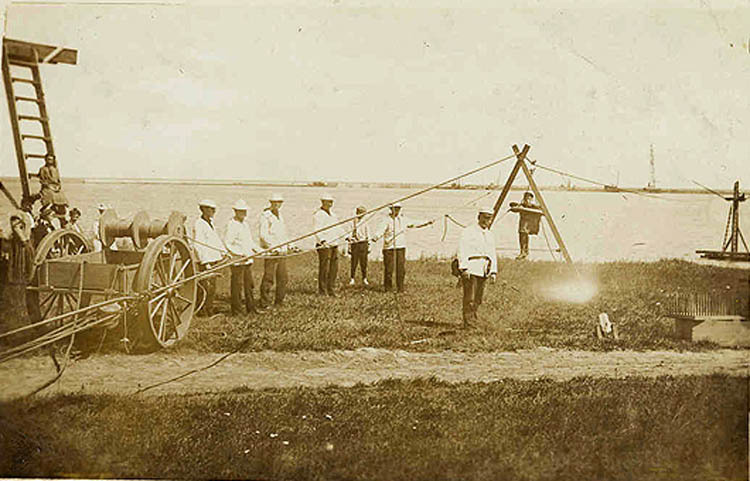 George W. Plough was appointed keeper on 30 NOV 1887 and transferred to Station Lake View Beach on 11 FEB 1898. Henry D. Ferris was appointed keeper on 11 FEB 1898 and was still serving in 1915. Station was moved in 1898. 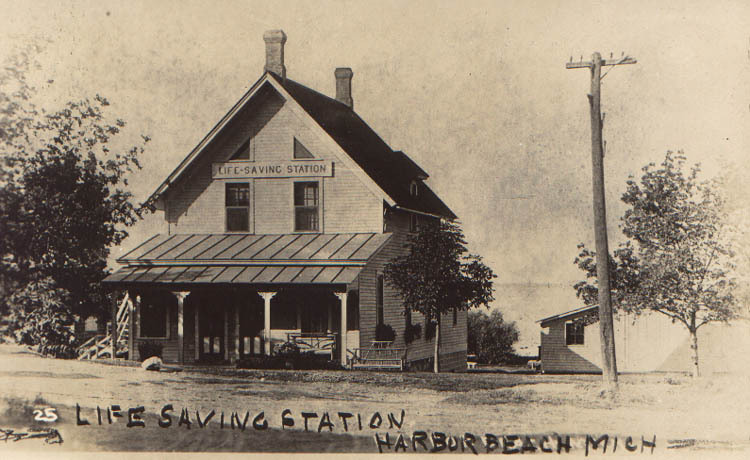 The station was also known as Harbor Beach. The Harbor Beach Station has been lost! 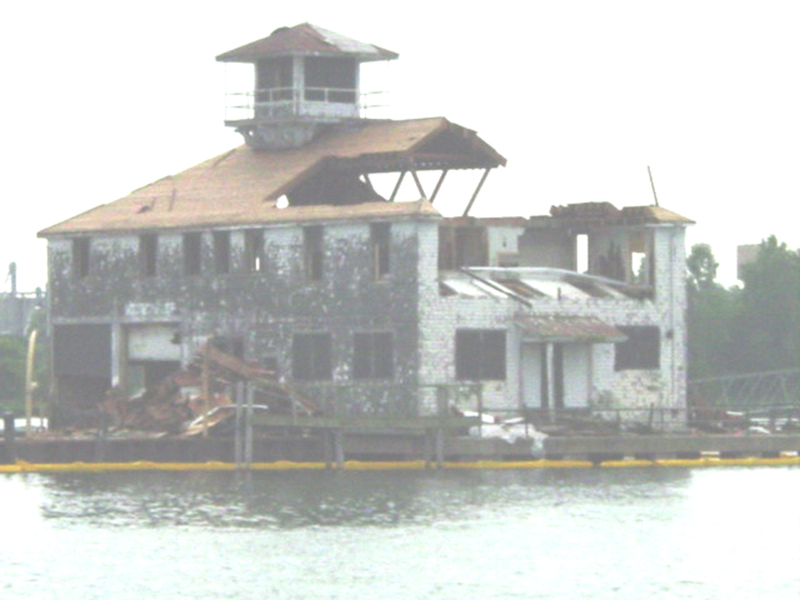 The station was torn down because it was considered beyond repair. Not enough interest and funds were raised to save the structure. MLC was told that the foundation alone or the pier that the station sits on would need $600,000 alone in repair costs to make the structure stable. 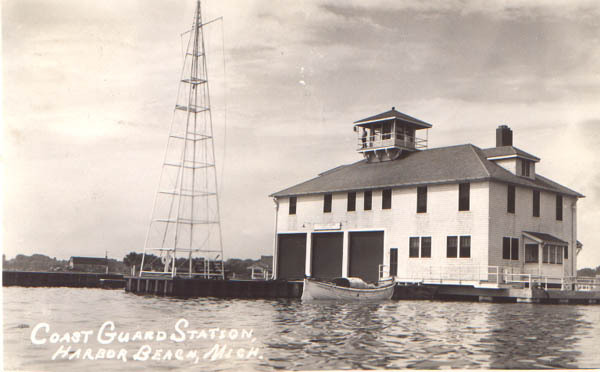 This did not include renovating the main station house or the garage located on shore. 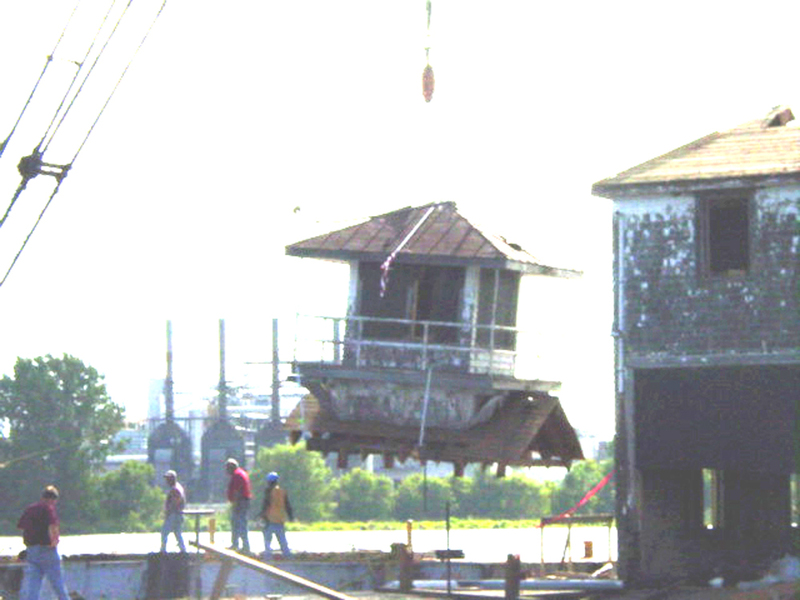 The local preservationists were able to have the government save the lookout tower located on the top of the station. It will be moved on shore and restored for public display. 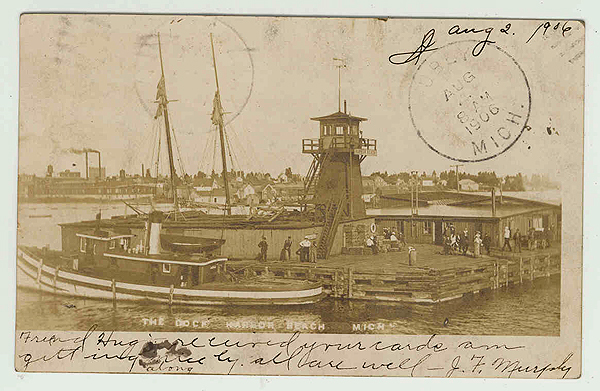 The lookout tower was one of this stations defining characteristics. We are not sure what will happen to the old garage located on shore from the station, maybe it will be preserved, maybe not? 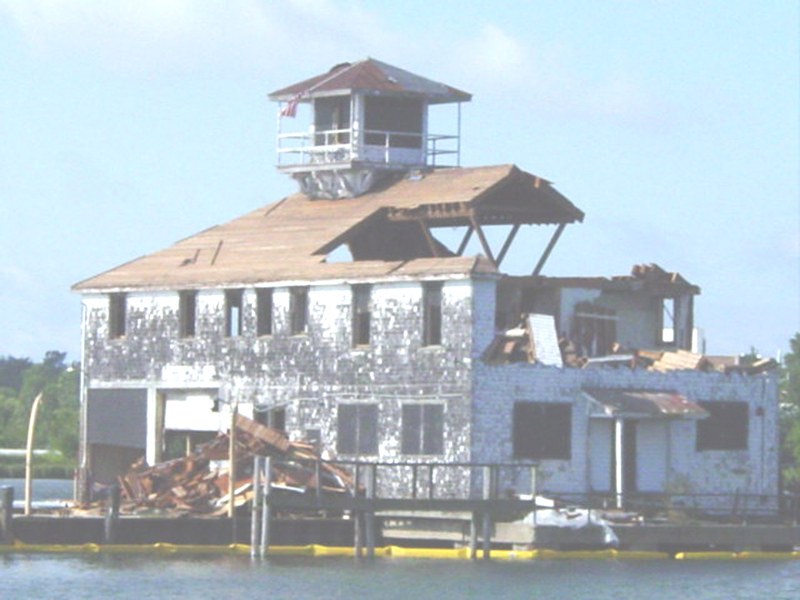 It is very sad for us to see another station lost and added to the growing number of life saving stations and older coast guard stations that have been destroyed over the years. Our maritime heritage in this area is being lost so rapidly. We currently only have a small fraction of original stations left to save. Please help locally and nationally with this effort. Awareness needs to be raised and it is everyone's role to make this happen. The photos below are the grim reminder of what happens all to often. 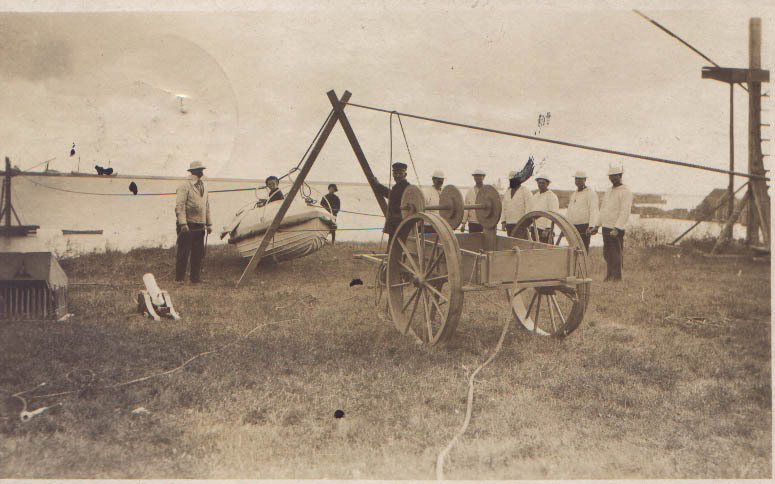 Harbor Beach crew during a breaches buoy drill using the Francis Metalic Life Car. Notice the small boy riding in the life car. Harbor Beach crew during a breaches buoy drill. Lookout tower located on the pier. Another design to the station and location over the years. 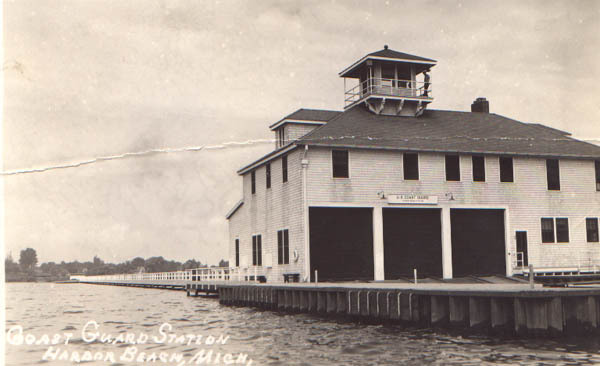 This combination boathouse/station is located out on a pier. 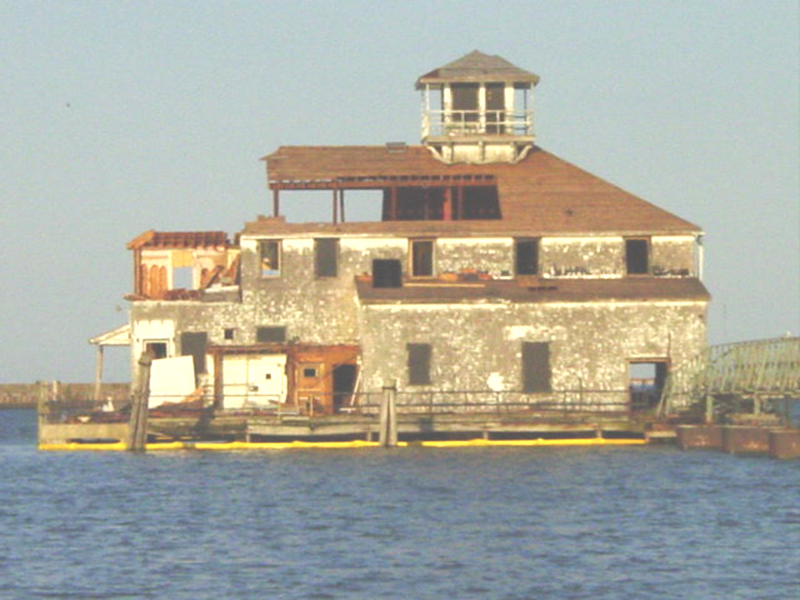 Currently the Coast Guard has is slated for demolition anytime during the 2002 year because of cost to fix the pier underneath it. Looks like another part of our maritime history will be lost.